Canine Companions for Independence dogs learn up to 40 commands, special to the human they are linked with. Dogs learn everything from doing laundry to vacuuming to picking up things, like keys. What: Puttin’ on the Ritz, featuring a cocktail hour, gourmet dinner, assistance dog presentations and live auction to benefit Canine Companions for Independence. Where: The Ritz-Carlton, Bachelor Gulch. When: Sunday, Aug. 12, 5 p.m.
More information: Visit www.cci.org/cailgala, email Erin Hoffman at ehoffman@cci.org or call 760-901-4396. The Vail Valley chapter of Canine Companions for Independence will host Puttin’ on the Ritz on Sunday, Aug. 12, at The Ritz-Carlton, Bachelor Gulch. The gala will benefit Canine Companions for Independence and help provide assistance dogs for children, adults and military veterans with disabilities.Thanks to a dog named Jake, donations to Puttin’ on the Ritz will be matched dollar for dollar up to $10,000. Canine Companions is a nonprofit organization that provides expertly-trained assistance dogs for people with disabilities, free of charge. 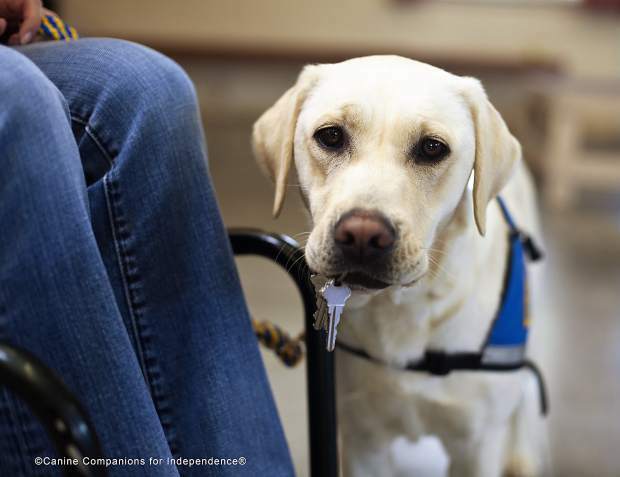 Canine Companions assistance dogs are trained in about 40 commands that make everyday life easier for adults and children with physical and developmental disabilities. They open and close doors, retrieve dropped objects, activate light switches and alert their human partners to important sounds such as smoke detectors and doorbells. The dogs also provide immeasurable social and emotional benefits to children and adults who are marginalized because of their disabilities. The gala takes place at 5 p.m. and tickets are $175, with sponsorships opportunities available. The evening will feature a cocktail hour, gourmet dinner, assistance dog presentations and live auction, with items including designer dog beds, villas in Spain and Italy, an African safari, cottage in Scotland and wines from around the world. This year’s gala will honor founding volunteer chapter presidents Anne Roberts. For more information, visit http://www.cci.org/vailgala.